Andrew Perlin is a CPA who began practicing in 2013. 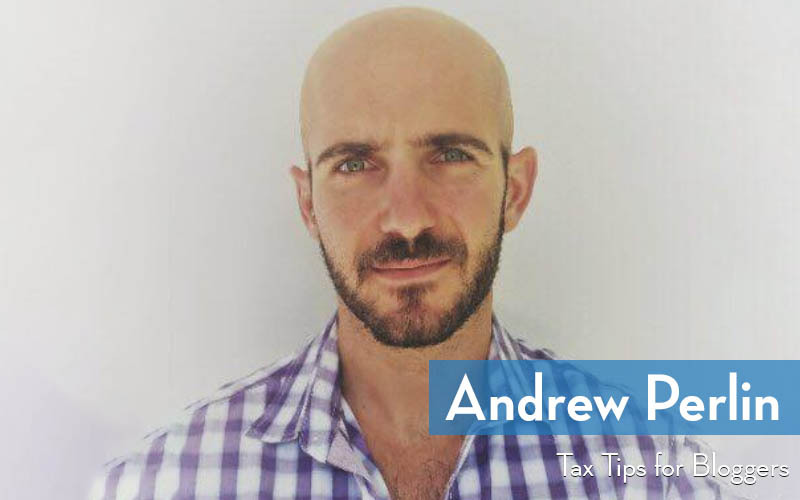 An avid traveler himself, Andrew currently specializes in expat and crypto taxes. He founded The Crypto CPAs to help investors properly manage crypto earnings, but still loves helping bloggers and freelancers become knowledgeable about how to structure a business to reduce your taxable income. Tax Tips for Bloggers Crash Course shares what tax breaks are available to you as a freelance blogger to help you reduce taxes and maximize profit. What taxes can you avoid if you’re outside of the states for a certain amount of time? What deductions can bloggers and freelancers take advantage of? Describe an S-corp. Who is a good candidate and why is it beneficial? What’s the difference between an S-corp and LLC? How does each benefit bloggers or content creators? What’s one thing bloggers and freelancers can do today to reduce their taxes or improve their financial status to have more money to reinvest in their own business?